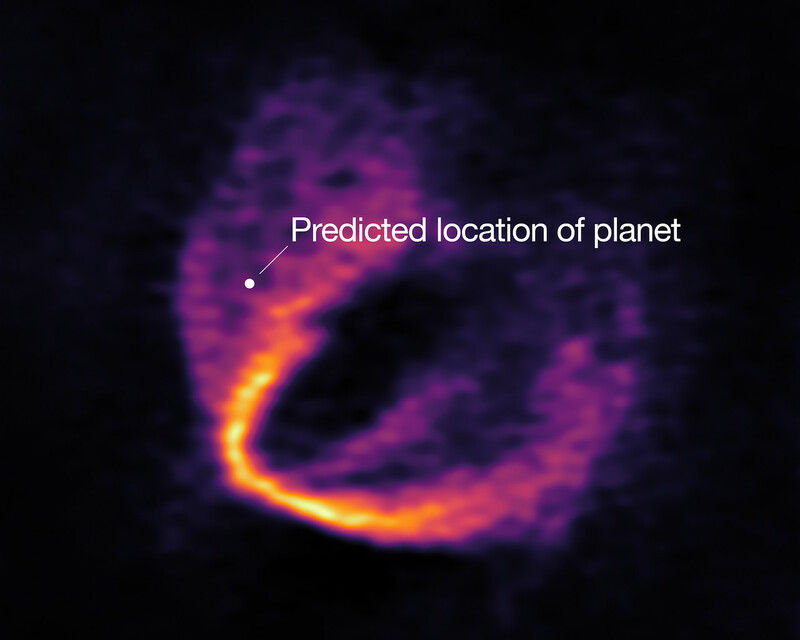 ALMA has uncovered convincing evidence that three young planets are in orbit around the infant star HD 163296. 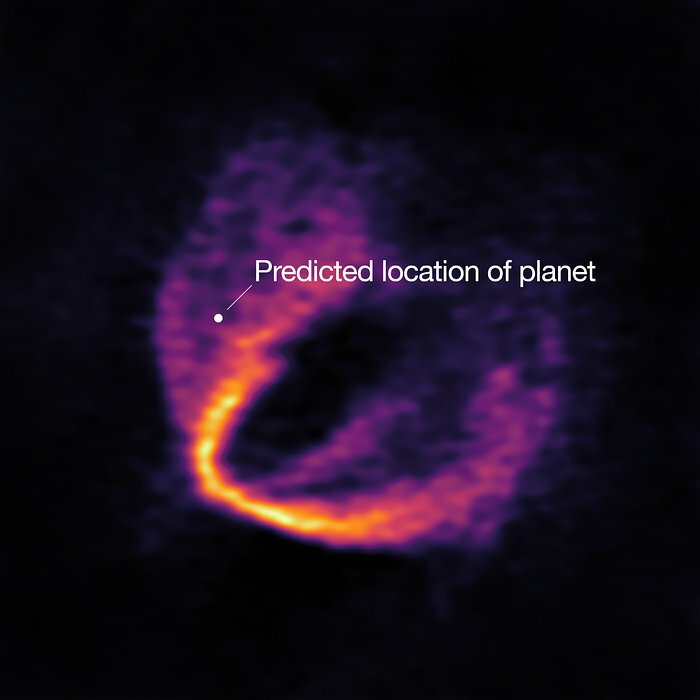 Using a novel planet-finding technique, astronomers have identified three discrete disturbances in the young star’s gas-filled disc: the strongest evidence yet that newly formed planets are in orbit there. These are considered the first planets discovered with ALMA. 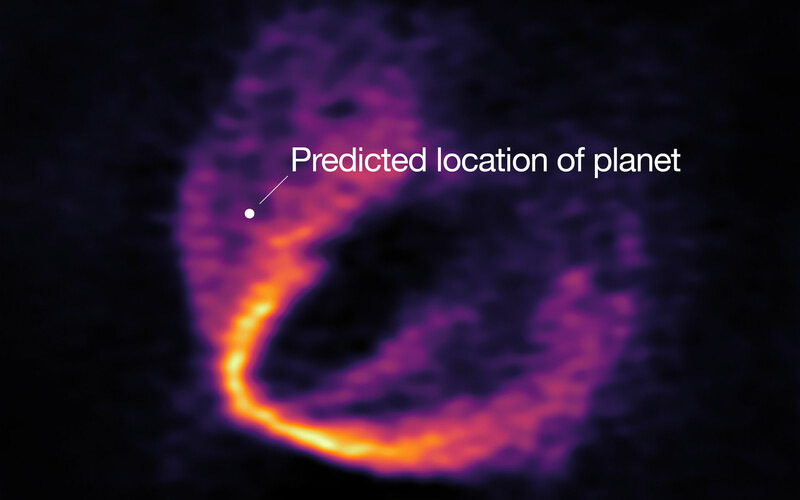 This image shows part of the ALMA data set at one wavelength and reveals a clear “kink” in the material, which indicates unambiguously the presence of one of the planets. The annotation shows the predicted position of the planet in question. ESO, ALMA (ESO/NAOJ/NRAO); Pinte et al.